No matter what kinds of parts and tubing you need to join together, Parker hydraulic adapters in Norco CA will provide a way to do so. You can get angled adapters as well as male or female adapters in virtually any size you might need. Best of all, Parker’s adapters are backed by some serious engineering. They can stand up to heavy use and still provide long, leak-free life. Next time you need new adapters, try Parker brand. 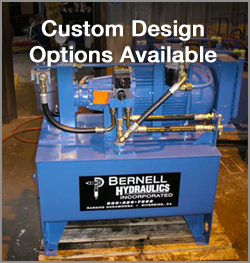 If you’re not already familiar with Parker, the knowledgeable staff at Bernell Hydraulics will be happy to introduce you to their high-quality products. Whenever you make a hydraulics parts purchase, you want to know that you’re getting a quality product you can count on to deliver all of the benefits promised by the manufacturer. It doesn’t matter how large or small the part may be, quality is still of the utmost importance. At Bernell Hydraulics, we understand this and that’s why we provide superior care and service to all of our clients, even when they’re purchasing small parts like Parker hydraulic adapters in Norco CA. All of our Parker adapters are guaranteed to be authentic Parker parts because we are an authorized distributor. Whatever you can’t find on our shelves we will special order for you straight from Parker.